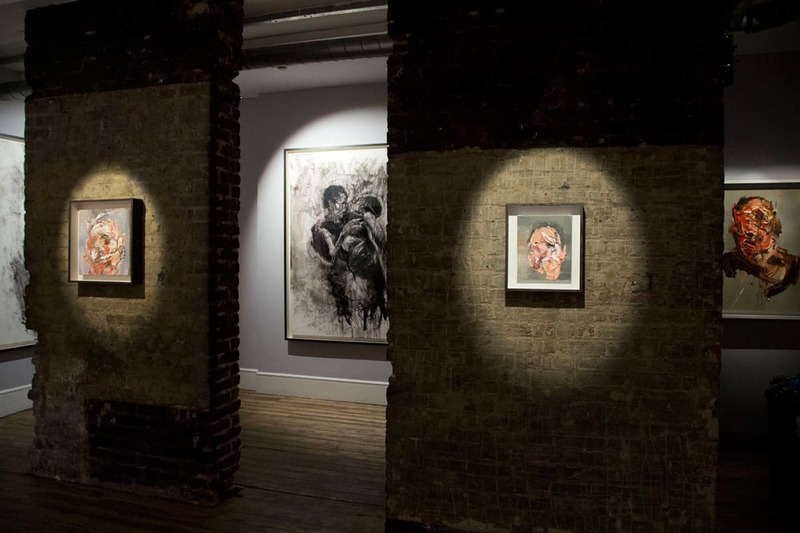 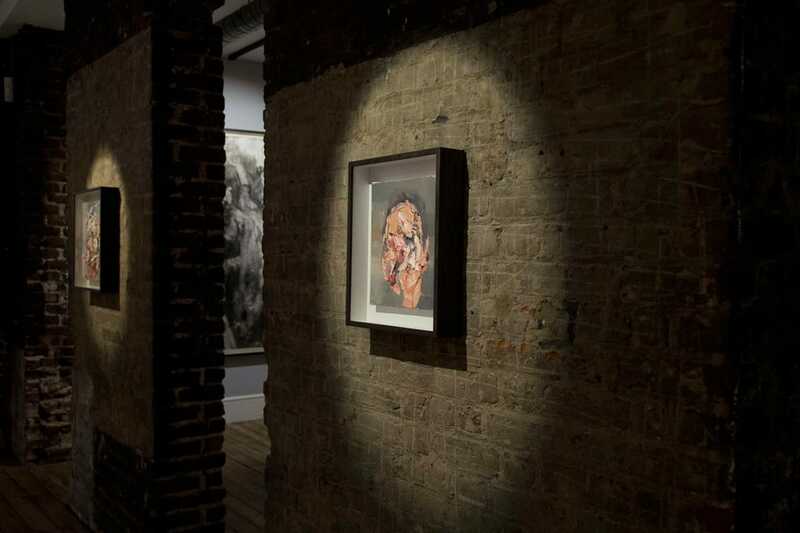 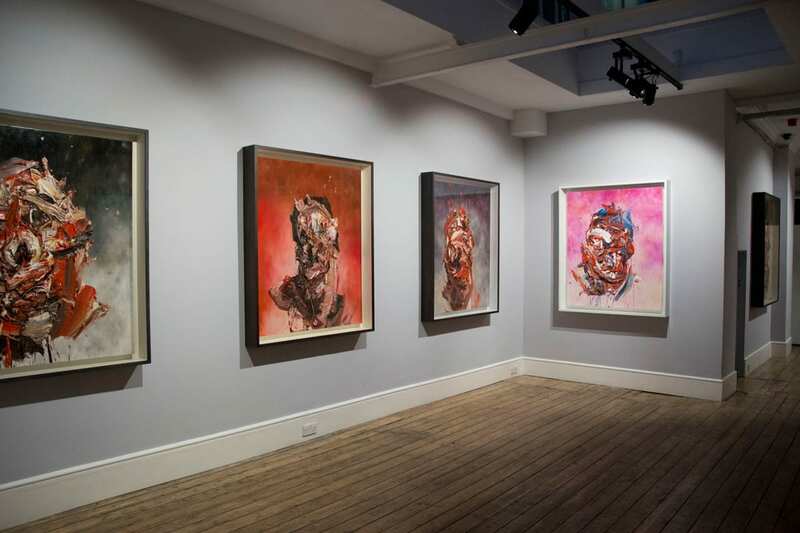 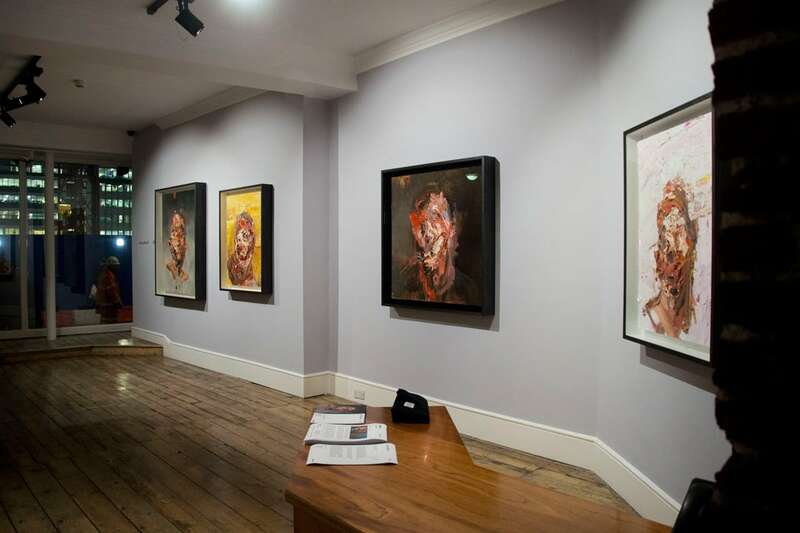 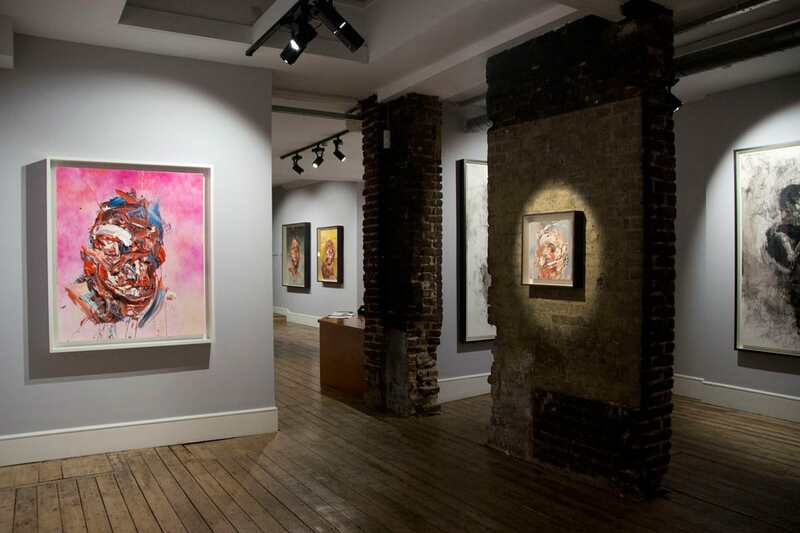 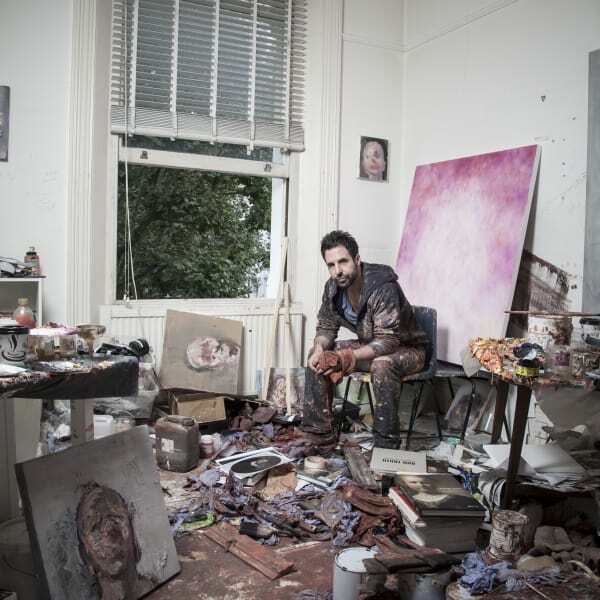 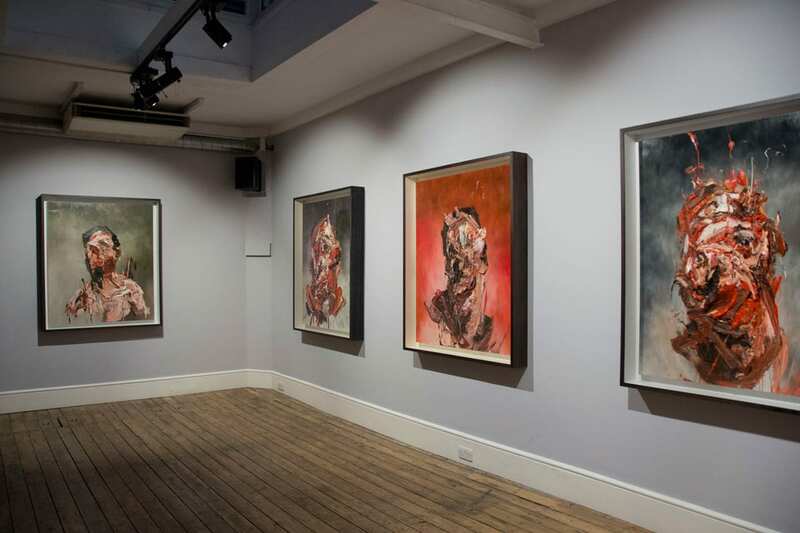 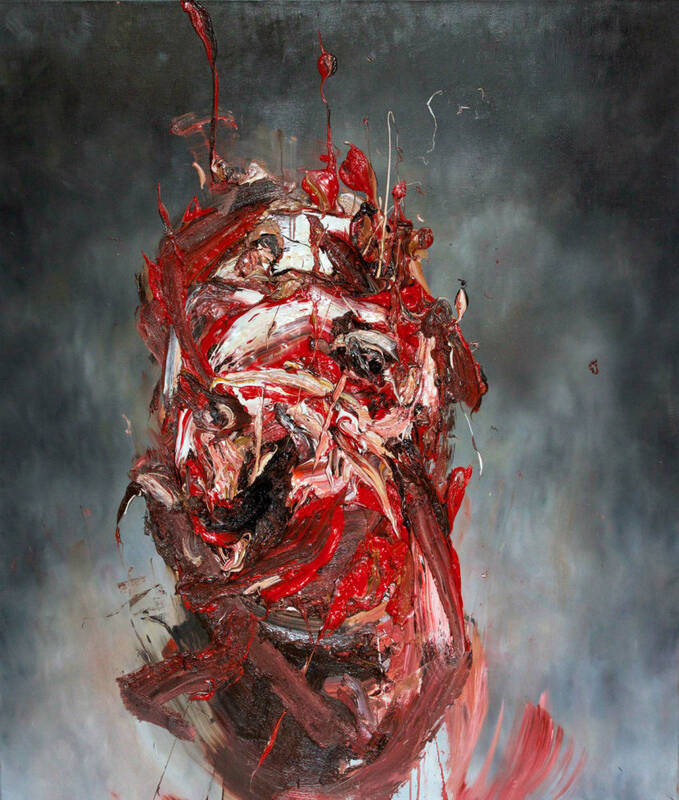 Lazarides Rathbone is pleased to present a major new body of meditative self-portraits by Antony Micallef entitled Self. 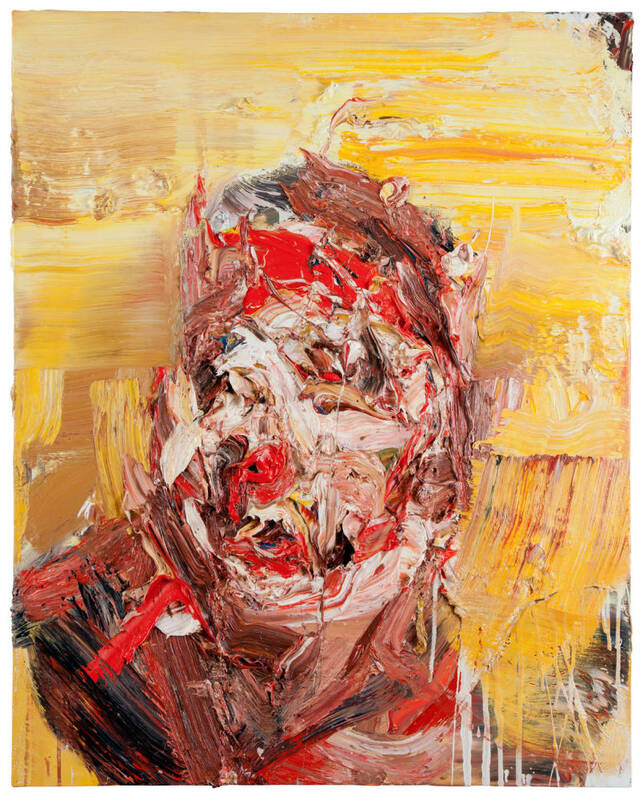 In an era when the selfie is ubiquitous, his long-awaited solo return unveils a series of energetic self-portraits on canvas and paper, presenting the ultimate commentary on this contemporary norm. 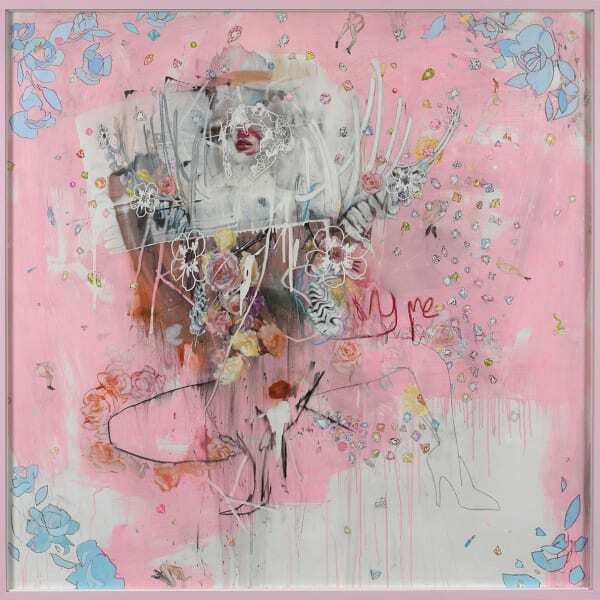 Self makes a clean break in style and language from the artist's earlier series Impure Idols (2007), Becoming Animal (2009) and Happy Deep Inside My Heart (2011). 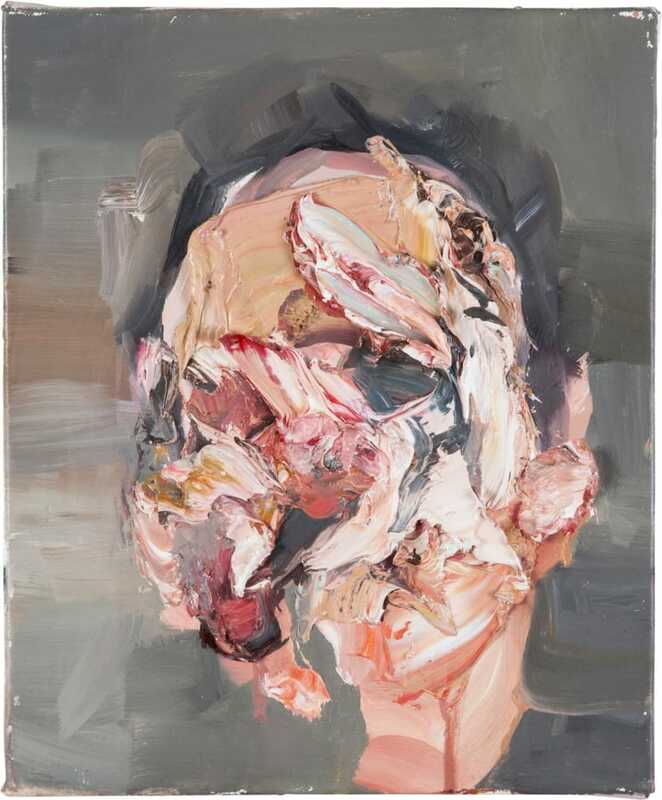 Stripping away the excess prevalent in this earlier work, Micallef has parted ways with the colourful pop language that dominated these previous series in exchange for a set of self-scrutinizing works that turns the looking glass upon himself and his medium. 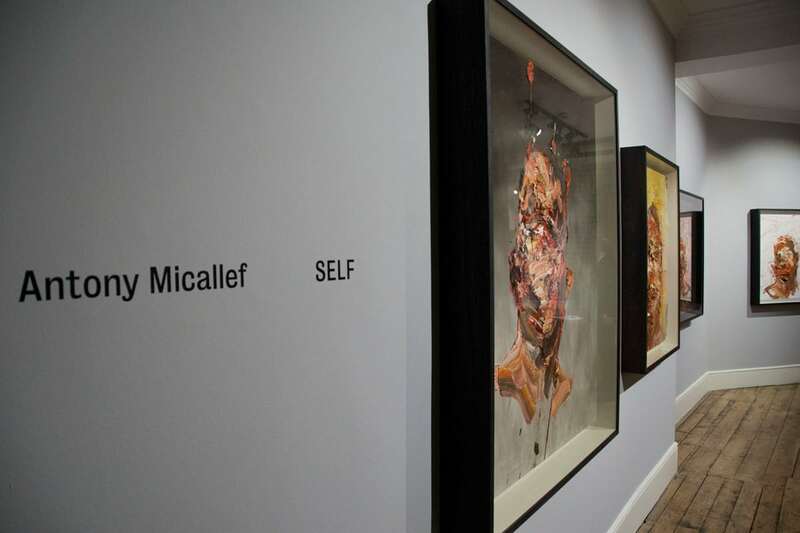 Having painted his own self-portrait for the last 20 years, Micallef's new body of work returns to something more visceral and honest, serving as a reflection of his personal journey as an artist. 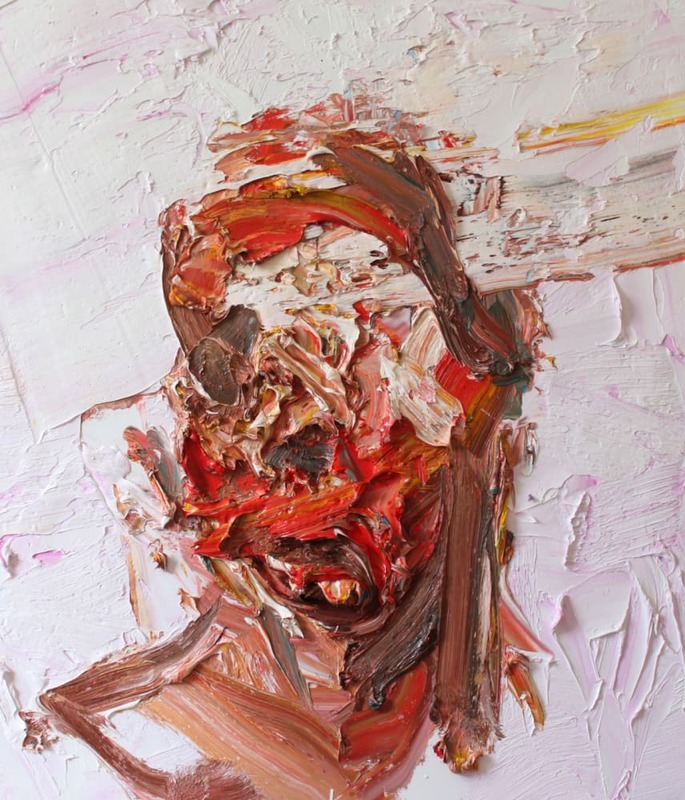 The paradoxical notion that the self can be uncovered through the most narcissistic of gestures is explored through his relationship with the paint. 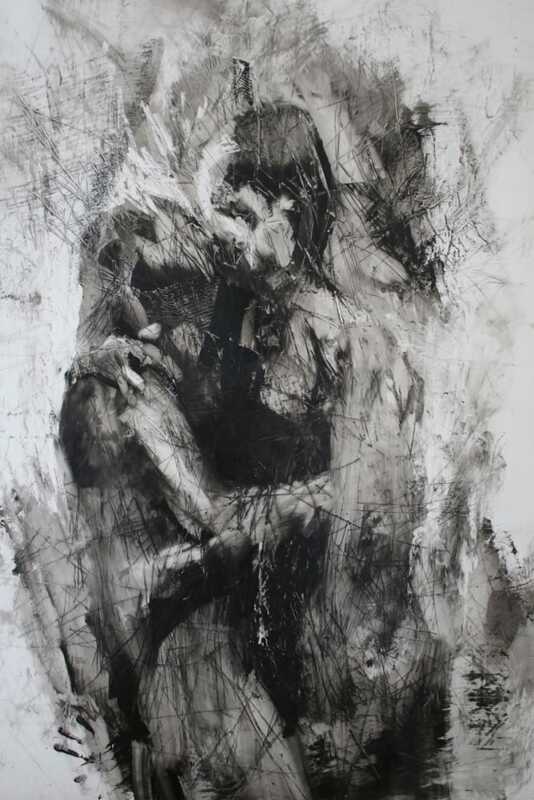 The self-analytical dialogue is enacted through mark making, the artist's hands and brush carefully constructing layer by layer in a vicious attack of the canvas. 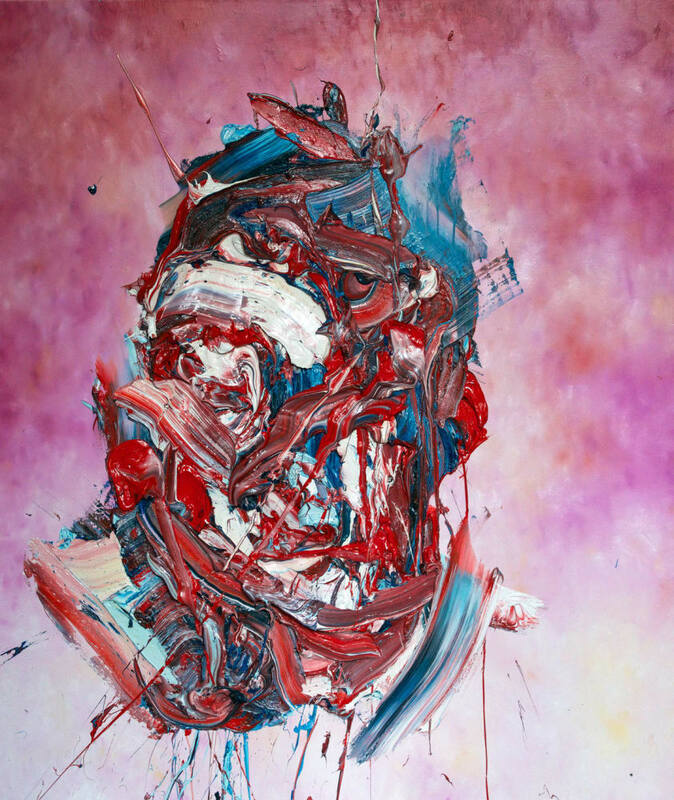 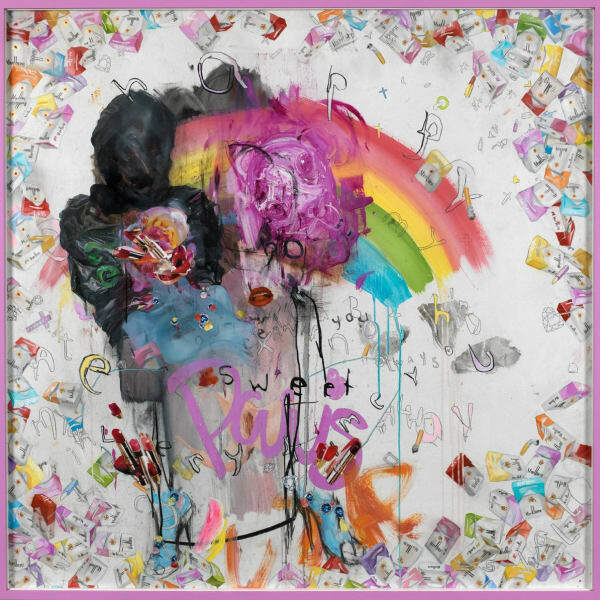 Set against Rembrandt-like backdrops of pastel and colourfully marbled hues, thick brushstrokes overlap, bleed and fuse into one another constituting a unique and authentic persona. 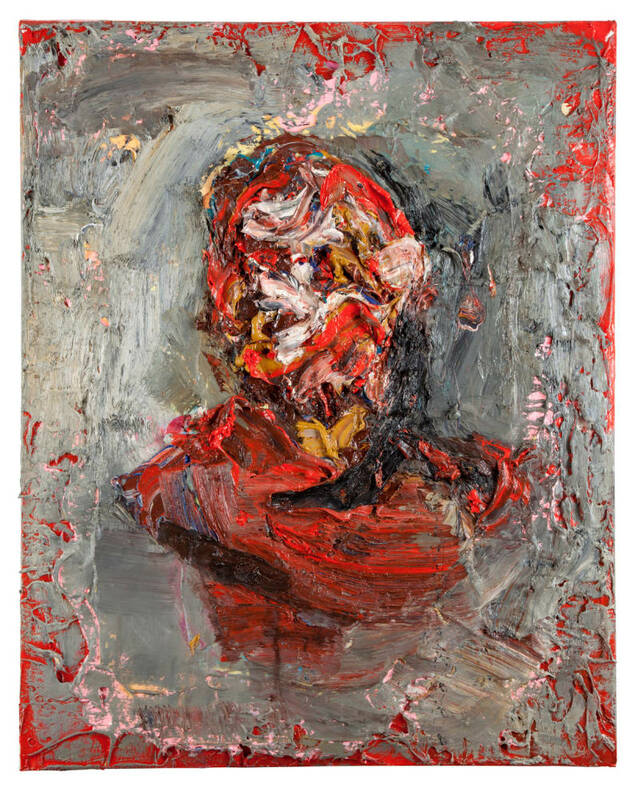 This painterly snapshot of ego is laid bare for his audience to question and dissect purely through the multiple layers and heavy concentration of his medium. 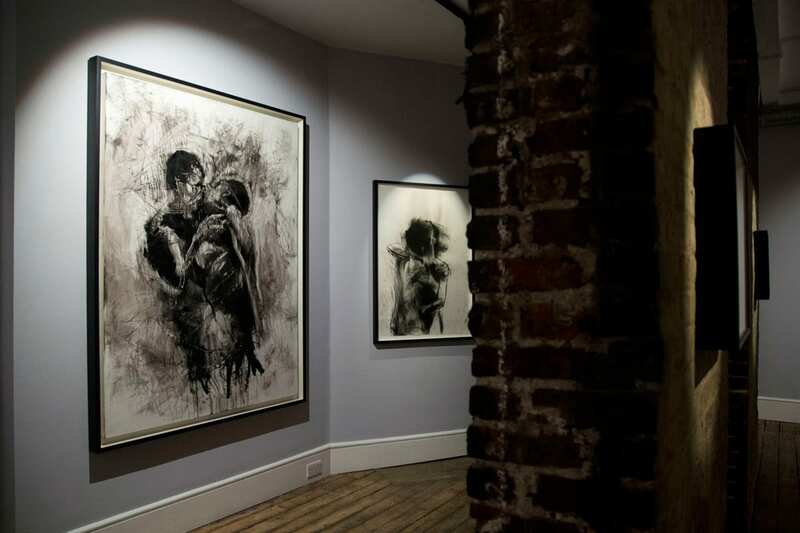 "I'm trying to create a sensual body that emanates a soul or some kind of embodiment of human emotion. 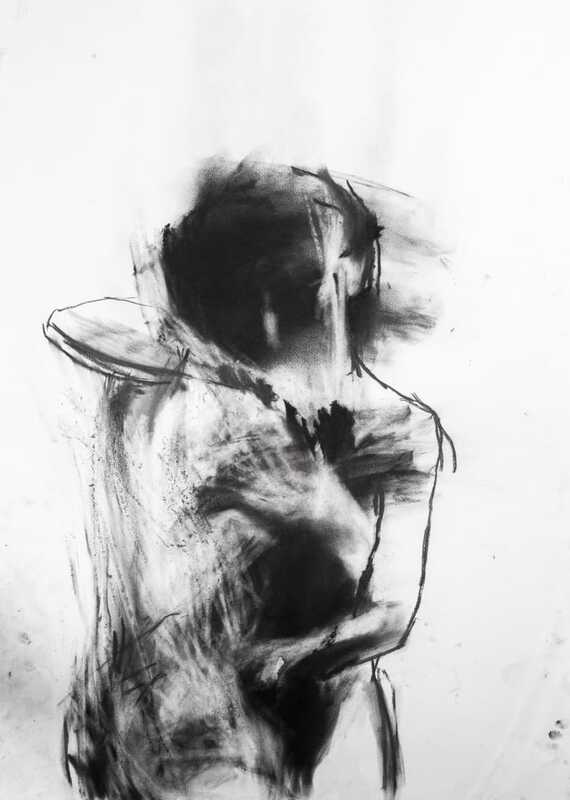 I want to say it all with the actual medium this time without illustrating it. 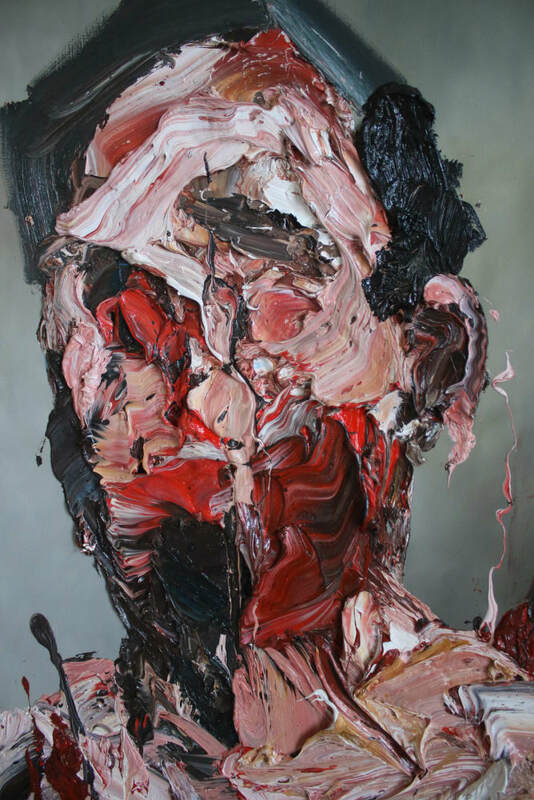 I wanted the luscious density of the paint itself to describe the feeling without narrating it." 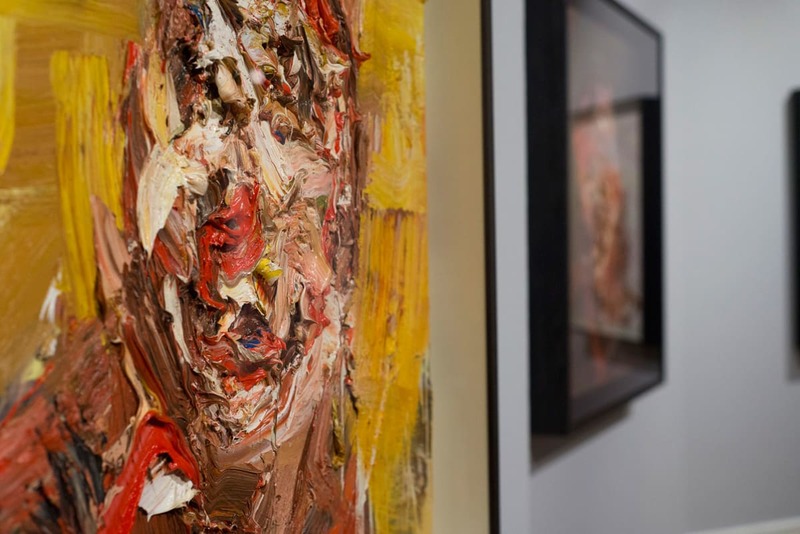 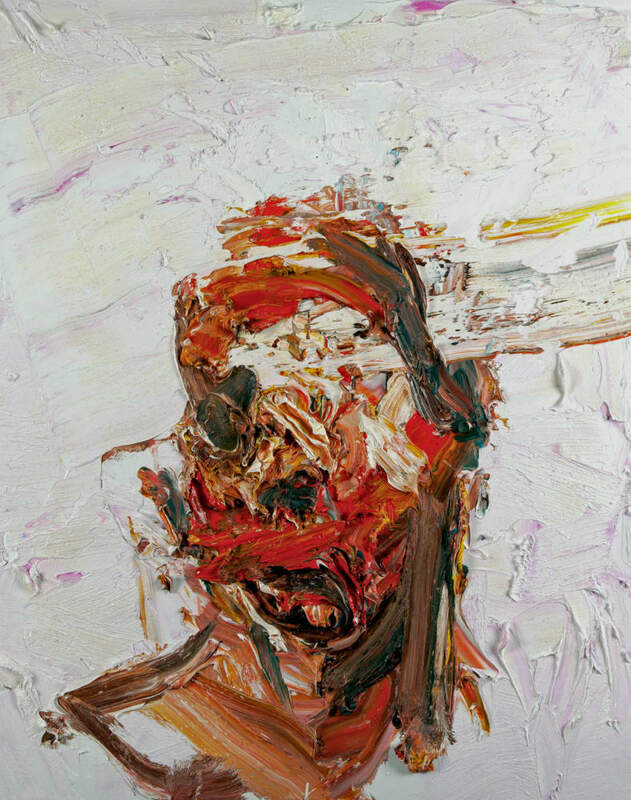 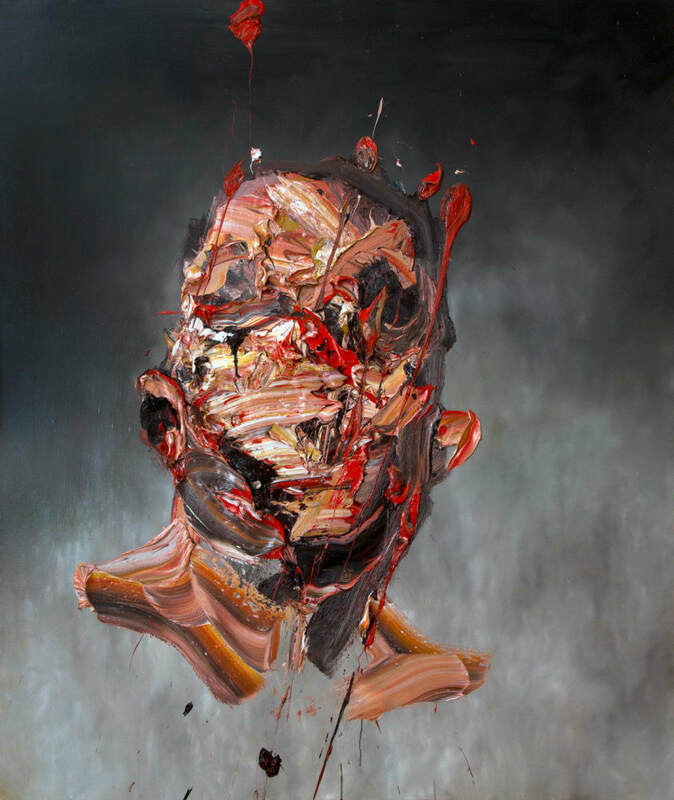 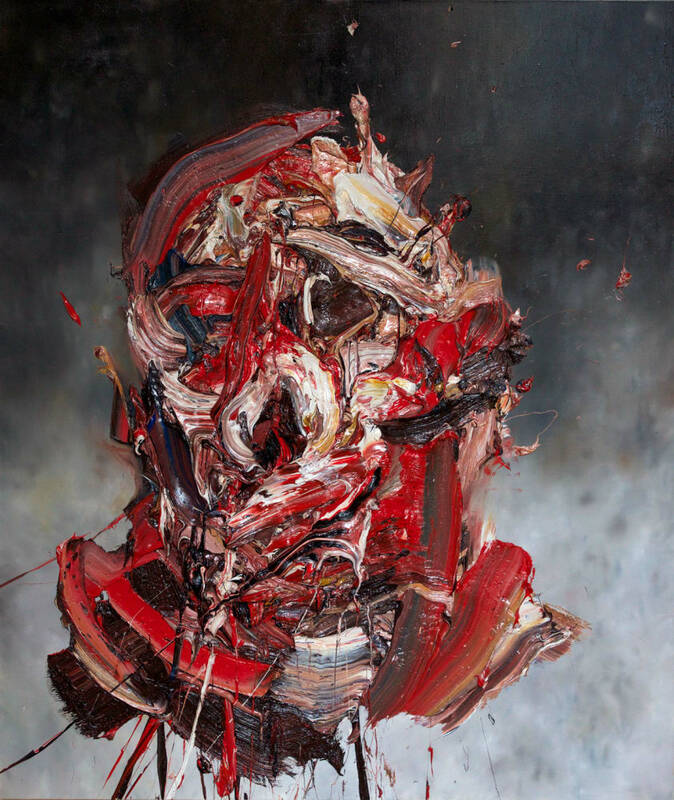 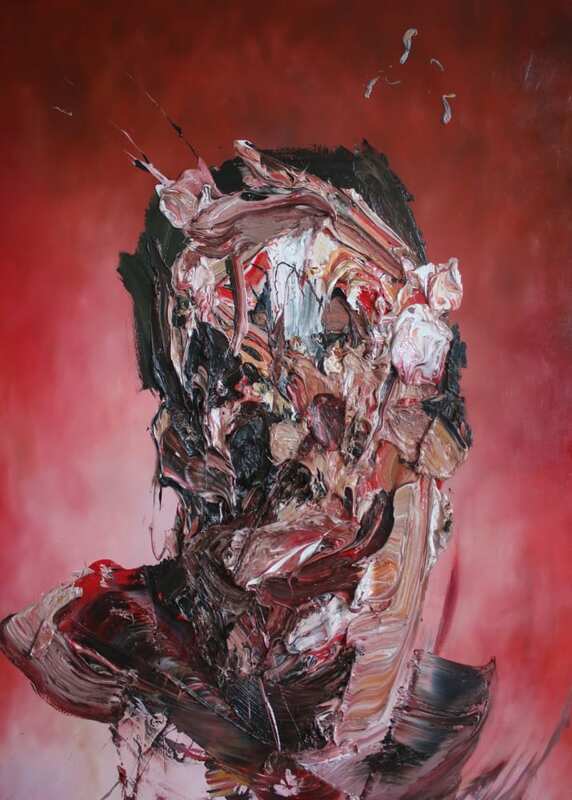 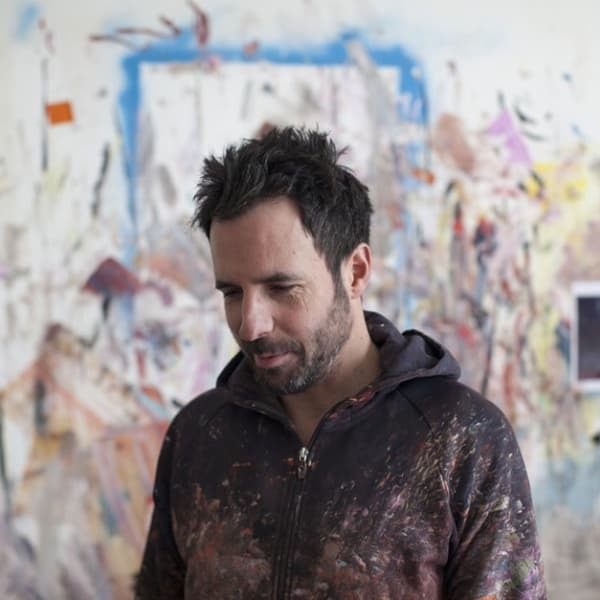 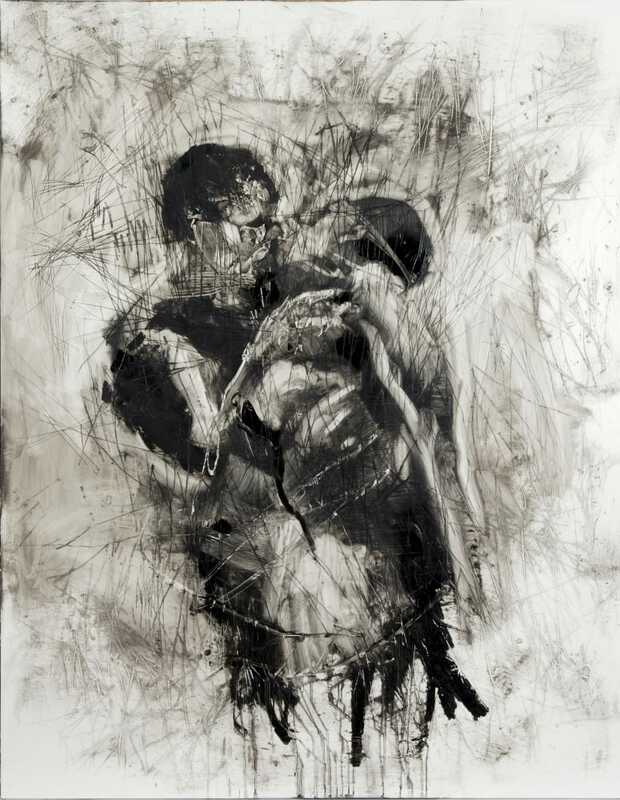 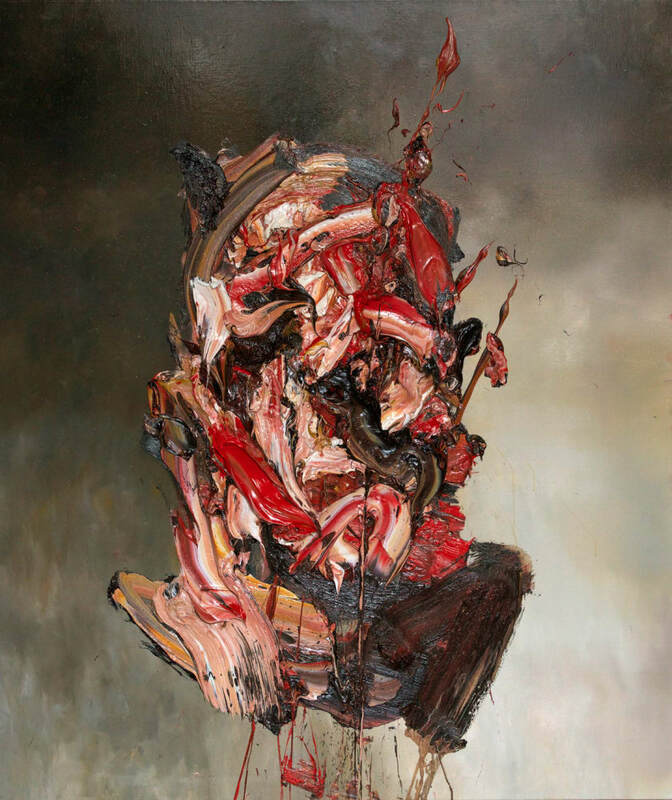 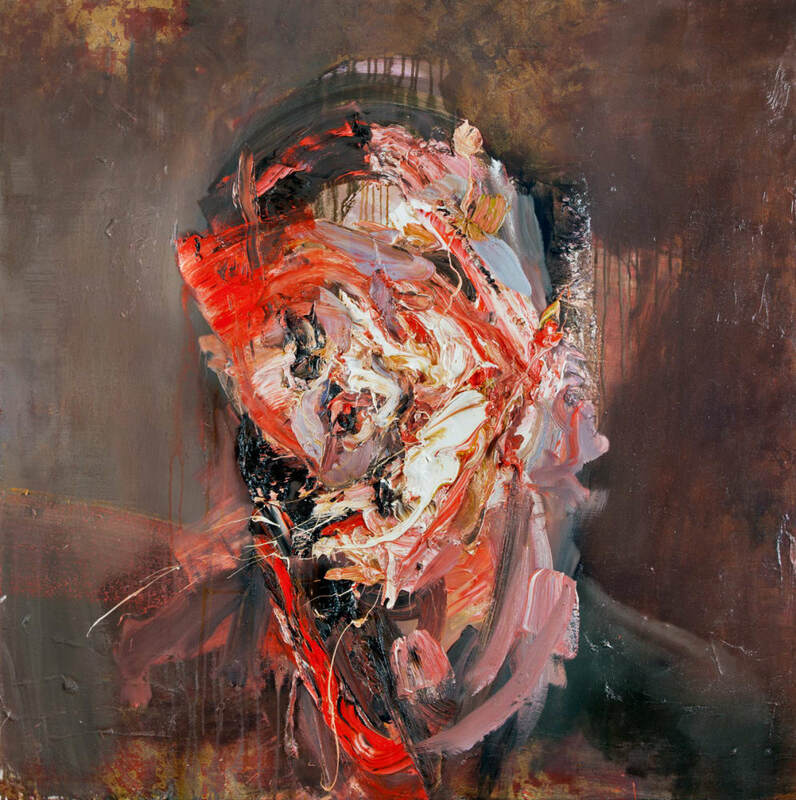 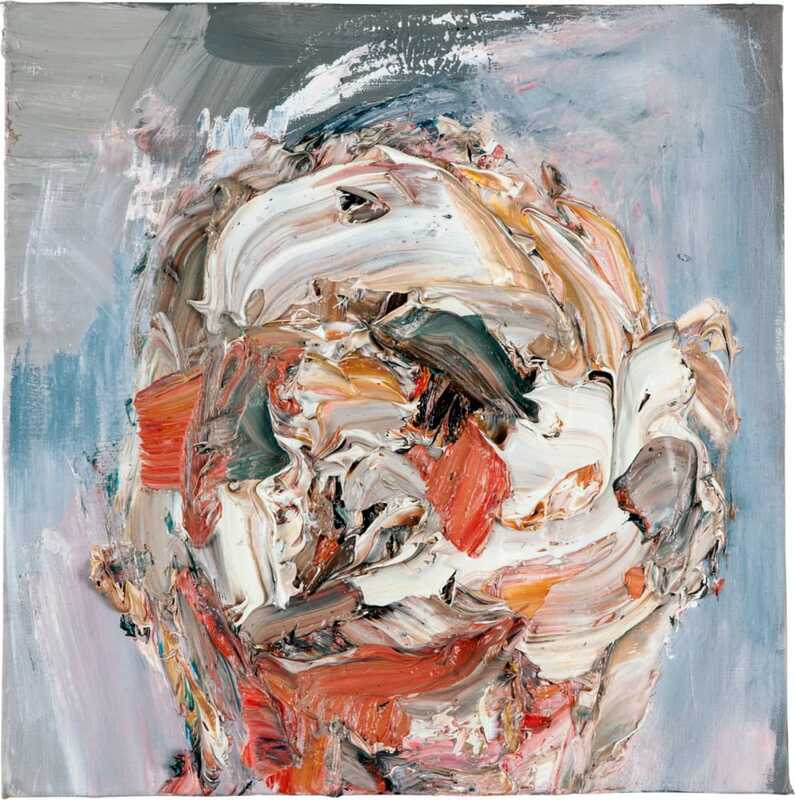 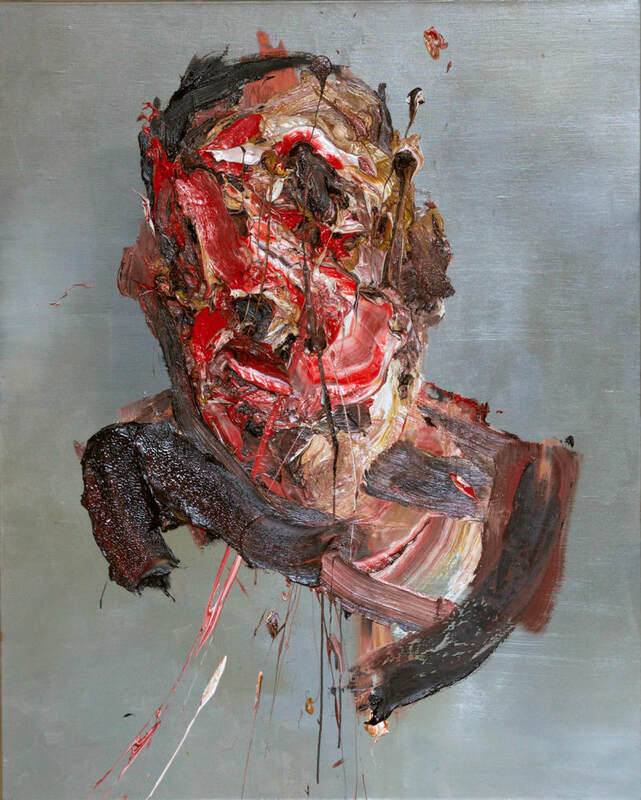 Antony Micallef's ultimate self-portrait, Self subverts the selfie paradox and presents a wiser artist in deep reflection.